Mr. Stinky's Green Garden: Grow Marijuana for Profit, it's Easy. Maybe Not. Grow Marijuana for Profit, it's Easy. Maybe Not. Does this sound a little naïve to you? It should, however, that’s been the mentality for so many pot entrepreneurs… Even after the Ogden memo threatened to crush “legalized” medical marijuana four years ago. The problem is that in order to live off of growing or selling pot you absolutely have to treat growing and selling your stash, well, like a real profession. While there are many variables within each individual cultivators set up – here are the top five things that go wrong for most, as they cultivate their get rich quick schemes. While just about anybody can put a cannabis seed in the ground … Growing great weed is far from easy! Growing good pot requires scientific research, time and attention… Study up! Pests have a nasty little habit of loving marijuana plants…and have no qualms about destroying your crop. Bugs and disease are a daily adversary that can make a mockery of your cultivation efforts, creating a product that has little to no monetary value – let alone something you want to smoke. As more people grow pot and fewer distribution points are available – the price for good pot has been plummeting. So many people have been growing weed that the supply has gone up exponentially faster than demand, lowering prices. During the height of prohibition crappie dirt weed could sell for up to $3000 a pound. Today, in California and Colorado you’d be hard-pressed to give away low-quality herb. Only the best of the best will fetch that kind of money in this market unless of course, you take it across state lines for sale… Which leads to the next issue. Marijuana cultivation is still a federal offense! Although you may be making money now, you could potentially go bankrupt fighting federal marijuana cultivation charges, or worse, find yourself in jail. 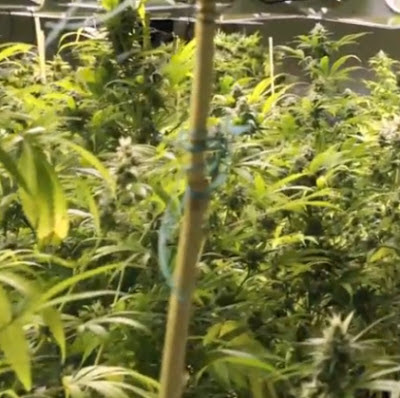 The prices dropped so low in some states that many pot farmers have resorted to sending their product across state lines to increase their profit. Doing so will put you in direct violation of the controlled substance act of 1970, and could land you in jail for many years (keep in mind that federal judges are required to issue mandatory minimum sentences for drug crimes). Finally, because it is still federally illegal, there is no accountability in the business. Your partner can screw you over, your crop you get stolen and there is little to no legal recourse for you – such as their might be in other business venture. Still interested in being a marijuana kingpin? Remember that you need two things: knowledge of cannabis and knowledge of the business. Good luck!